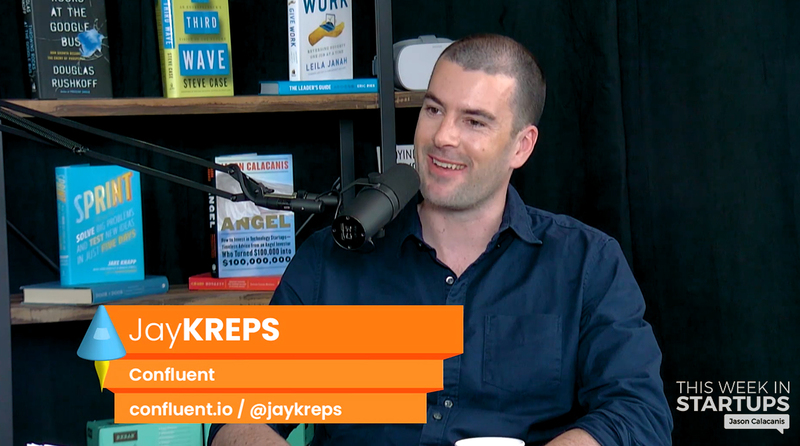 0:46 – Jason introduces Jay Kreps, Co-founder and CEO of Confluent. 2:06 – Jay talks about what he was doing at LinkedIn, how open-source projects work, Apache Kafka project, and how Confluent came about. 11:12 – Jason thanks sponsor Squarespace. Visit squarespace.com and enter offer code: “twist” to save 10% on your first purchase of a website or domain. 13:09 – Other projects utilizing the Apache Kafka and Confluent offering, challenges of managing global data, the reaction of venture community to open-source, and thoughts on Silicon Valley. 25:42 – Jason thanks sponsor Pendo. Visit pendo.io/TWIST to for two months of Pendo free. 27:49 – Working with Reid Hoffman, early days of LinkedIn, and watching the company IPO. 32:04 – What will new technology and the ability to process large, real-time data unlock for humanity? 41:45 – Biggest challenges for Jay, and advice for people who are new to the industry. 45:26 – Jason thanks sponsor Salesforce. Go to salesforce.com/twist for an additional 50% off and a free on-boarding call! 47:33 – Office hours with Jason: Parsa Rezvani, Tutorfly – How do you incentivize customers of a two-sided marketplace not to circumvent the platform once they get to know each other? Should we push the social impact aspect of our product?